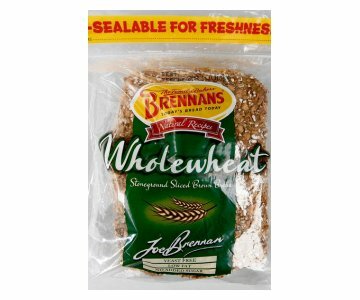 I had assumed that the McCambridge v. Brennan brown bread case was solely one of intellectual property infringement but the judgment of Mr Justice Peart, which has now been published, shows that there is more to it (an Irish Times report of the case is here). 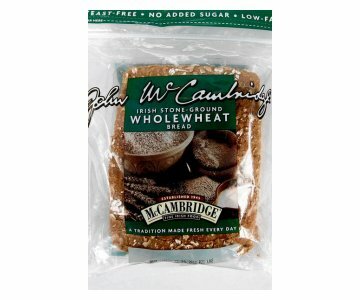 Indeed, Peart J notes that McCambridge do not “have any proprietary rights as such over that type of re-sealable bag, its shape or indeed the shape and size of the loaf of bread inside.” The company itself accepted that it does have such proprietary rights, nor rights over the shape and colour or ingredients of the bread itself. Notwithstanding that, Peart J agreed that the overall impression on consumers satisfied the conditions for passing off (a form of action used to protect unregistered intellectual property rights). [I]t would take more care and attention that I believe it is reasonable to attribute to the average shopper for him or her not to avoid confusion between the two packages when observed on the shelf, especially when these are placed adjacently or even proximately so. Peart J indicated that an injunction should be granted to prevent further passing off. However, the interesting element of the case comes next: he also considered whether McCambridge are entitled to an injunction under section 71 of the Consumer Protection Act 2007 on the basis that Brennans were engaging in a misleading commercial practice. The Minister for Jobs, Enterprise & Innovation recently announced a planned overhaul of consumer legislation, arguably ignoring that the 2007 Act was supposed to be just that (I wrote about it here in April 2011). The 2007 Act was quite significant, but appears to have been barely used, particularly by the National Consumer Agency. Indeed, Peart J states that they held a watching brief in McCambridge v. Brennan but, strangely, adopted “a neutral position”. Exhibit B: Wot, no McCambridge? Peart J decided that McCambridge were not entitled to an injunction under section 71, apparently (my interpretation) on the basis that the design of its packaging was not a commercial practice involving marketing or advertising. Peart J was to hear the parties in relation to the exact terms of his proposed injunction, but the decision to grant an injunction has since been appealed to the Supreme Court by Brennans. A trader designs the packaging of shampoo A so that it very closely resembles that of shampoo B, an established brand of a competitor. If the similarity was introduced to deliberately mislead consumers into believing that shampoo A is made by the competitor (who makes shampoo B) – this would breach the [Regulations]. Of course, Peart J had decided that Brennans’ passing off was not deliberate, and so could not have found them to have intended to “deliberately mislead consumers”. Nevertheless, it appears to be a case where the views of the Consumer Protection Agency would have been of use. InjuriesBoard.ie: “lawyer-free zone”, or competitor? Officially, the Personal Injuries Assessment Board (the “Board”) is just another boring statutory body performing a function on behalf of the State. However, the Board has often exceeded that mandate since its creation by acting as a vocal critic of the legal profession. Arguably,the Board also operates as a commercial entity in competition with lawyers, albeit a very strange form of competition where the aim is to deprive lawyers of fees rather than to earn those fees for itself. Indeed, after a few years of operating under its official name, the Board began to style itself InjuriesBoard.ie, a form of branding very much in line with what one might expect from an online claims agency. An online claims agency like Claims.ie, perhaps? In 2010, InjuriesBoard.ie made a complaint to the Advertising Standards Authority of Ireland under its self-regulatory code on the basis that users might believe Claims.ie was the website of the Board. It also complained that it was not clear who was running Claims.ie or from where. The complaint was upheld, though Claims.ie did not respond to it. The ASAI referred the case to the National Consumer Agency, presumably with a view to enforcement action under the Consumer Protection Act 2007. Part of the Board’s complaint related to Google adwords, which really is a matter for the courts (in fact, it is very much a live issue for the courts). The Board was correct in stating that it is unclear who is behind Claims.ie, but contact details are provided. The site appears to be run by a company called Claims Ireland Limited but there is no company registered in Ireland with that name (there are two registered business names for “Claims Ireland”). So, the operator may have some difficulties under the Companies Acts or related legislation, which is a matter for the Companies Registration Office and the Director of Corporate Enforcement. Nevertheless, the Board was the organisation to take up the complaint and its choice of forum was the relatively powerless ASAI. When making a complaint to the ASAI, the complainant must indicate if there is a commercial or other interest in making the complaint. For consumers, the answer will be no. A practical difference in treatment is that a consumer complaint is confidential, whereas the ASAI publishes the name of corporate complainants. The ASAI does not generally entertain complaints between competitors but may do so if a consumer interest is at stake. What was the Board’s interest: commercial or consumer? The Board’s own website says that individuals may engage an agent to conduct a claim on their behalf. (Why anyone other than a solicitor would take on that role, given the regulatory and liability consequences, is unknown.) If the Board’s complaint was not a case of staking its commercial territory, and instead was acting in the interest of consumers, why does it otherwise go to such great lengths to discourage consumers from engaging independent professionals, the identity and reputations of which are well known? The Consumer Protection Act 2007 was a significant piece of reform legislation which has largely gone unnoticed and under utilised. The National Consumer Agency uses the Act as part of its enforcement function and it has been reported that the NCA has initiated proceedings under the Act against Associated Newspapers (Ireland) Limited arising out the infamous Sunday Tribune wrap-around published by the Irish Mail on Sunday. In 2009, Tesco unsuccessfully sought an injunction against Dunnes Stores to prevent allegedly misleading advertising, partly under the provisions of the Act (more here). However, there are a number of aspects of the 2007 Act that consumers can rely on. I recently obtained exemplary damages under the Act on behalf of a client in a District Court action where the client had been misled. The case concerned a contract with a tradesman for goods and related installation works where the goods had been delivered but the works not completed, despite having been paid for in full. The plaintiff was forced to engage a third party to complete the works and obtained judgment against the tradesman for the cost of doing so. Prior to being hired by the plaintiff, the tradesman represented that he was an agent of a manufacturer (which happened to be the third party later engaged by the plaintiff to complete the works). The plaintiff assumed that he could call on the manufacturer to step in if the agent failed to complete the works. The tradesman was not an agent of the manufacturer; hence the manufacturer had no liability to the plaintiff and had to be paid for completing the works. The latter two categories are more serious and engaging in them is a criminal offence. A wide range of behaviour can constitute a misleading commercial practice and, if it would encourage a consumer to enter into a contract, the 2007 Act provides remedies. Engaging in a misleading commercial practice is not an offence (unless it relates to consumer information regulations) but does give rise to a right of a consumer to seek damages, including exemplary damages. In this instance, the trader’s representation that he was an agent of the manufacturer was a factor which influenced the plaintiff’s decision to contract with him and exemplary damages of €500 were awarded against the trader as a result, adding 18% to the total award. The Act makes for interesting reading and covers a wide range of commercial practices. It is likely that the extent to which the Act affects everyday marketing and sales is not widely appreciated, though the NCA has published a guide. persistently fail to comply with a customer’s request to cease unjustified contact. explicitly informing a consumer that if the consumer does not purchase a product, the trader’s job or livelihood will be in jeopardy. The maximum penalties for breaching these prohibitions, on a first summary conviction, are a fine of €3,000 or imprisonment for up to 6 months (or both). Subsequent convictions for offences under the Act carry maximum penalties of €5,000 or 12 months’ imprisonment (or both). [Updated 5/4/11 re. Cork Independent] What can a business do if a competitor engages in unfair advertising? The Competition Acts 2002 and 2006 deal with anti-competitive practices but these mostly involve cartel operations and abuse of dominance. In the past, trade mark and passing off actions have been used to stop comparative advertising, but this had the unsatisfactory result of often blocking any form of comparative advertising, rather than just unfair comparative advertising. Most businesses are still very cautious when it comes to comparative advertising, but the trade mark problem was resolved somewhat by the ECJ decision in the O2 bubbles case: a competitor can use another’s trade mark once it does not confuse the public. The European Communities (Misleading and Comparative Marketing Communications) Regulations 2007 updated Irish advertising law and supplement the unfair marketing provisions in the Consumer Protection Act 2007 and the non-statutory ASAI Code. A summary of the Regulations and available remedies is available here. The Regulations are not widely known among Irish SMEs, but that is changing fast. Tesco had sought to stop Dunnes from running allegedly misleading price comparison advertisements in the run-up to the lucrative Christmas shopping spree. Tesco claimed Dunnes promotional advertisements made direct and unexplained comparisons with Tesco’s standard prices and misled customers by failing to compare like with like. Dunnes argued that its advertising campaign, in which it highlighted its lower prices, was incapable of misleading consumers. Tesco failed to get an injunction because the High Court cannot grant a temporary injunction in this type of case (ironically, this is due to an earlier Supreme Court judgement in a case taken by Dunnes Stores). Miss Justice Laffoy’s decision does not mean that Tesco has lost or that Dunnes’ ads were not misleading: it only means that Tesco must pursue their complaint to trial of the full action. THE freesheet Cork Independent was forced to admit in the Cork Circuit Court recently that it had been boasting false circulation figures to advertisers and was ordered by Judge Con Murphy to publish corrective figures. … The Cork Indo had been boasting circulation increases of 10,000 up to 65,000 in a series of full page adverts for the best part of two months up to January last. But the Cork News argued that the Cork Indo’s actual print run was only 43,000 for certain parts of the same period. Judge Murphy ordered the Cork Indo to inform its advertisers via the newspaper of its real circulation figures last November and also ordered both papers to publish its current circulation figures. Tesco v. Dunnes Stores was an intensification of an existing battle between two enormous companies, but the Cork newspapers case suggests smaller Irish companies are now paying more attention to the legislative rules applicable to advertising, especially when it comes to advertising by competitors.